The deadline for signing up for Obamacare has been effectively extended by another day, the Obama administration said Monday. The deadline had been Monday, Dec. 23 for people who want coverage by Jan. 1. People can now sign up through Tuesday, Dec. 24. The administration said the change was made for people who attempted to sign-up on Monday but encountered Web site delays. The administration reported record-high traffic to healthcare.gov on Monday. 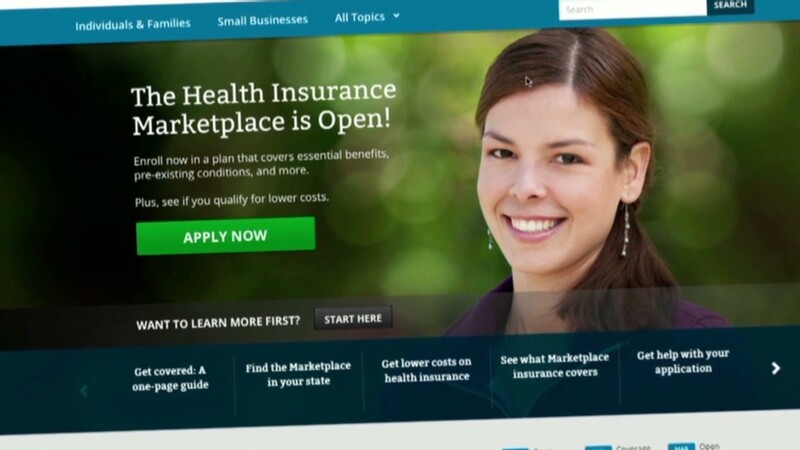 "Anticipating high demand and the fact that consumers may be enrolling from multiple time zones, we have taken steps to make sure that those who select a plan through tomorrow will get coverage for Jan 1," said Julie Bataille, spokeswoman with the Centers for Medicare and Medicaid Services, which is running the federal site, healthcare.gov. At least one insurer was surprised by the last-minute extension. An Aetna spokeswoman said she had no knowledge of it and no additional comment. Another insurer, Kaiser Permanente, said it did not think the one-day change would pose any "significant challenges" to getting people covered by Jan. 1. As it currently stands, if you miss the new deadline, the earliest you'd be able to get coverage is Feb. 1. There's been a lot of confusion surrounding the deadlines for applying for Obamacare -- and with good reason. Federal and state governments, as well as insurers, keep changing the dates, mainly to accommodate those blocked from completing enrollment due to technical problems. More than a million people have signed up for private insurance in the federal and state exchanges, President Obama said Friday. And exchanges are reporting heavy interest in recent days. Each consumer faces two deadlines: One by which to choose a plan and another for making a payment. Federal exchange: As of now, if you live in one of the 36 states serviced by the federal enrollment website, healthcare.gov, your best bet for getting hassle-free coverage in 2014 is to select a policy by end of the day on Tuesday and pay your first month's premium by Dec. 31. However, the insurance industry trade group said last week that folks who pay by Jan. 10 can have coverage retroactive to the start of the year. But the group stressed that coverage doesn't begin until the first payment is made. So people who wait until the 10th to pay might have to shell out for their initial medical care up front and file for reimbursement from their provider. State exchanges: If you are applying in one of the 14 states running its own exchange, you may have a different set of deadlines. New York followed the federal government's lead, pushing the deadline back to 11:55 p.m. on Tuesday. In Maryland and Oregon, residents have until Dec. 27 to pick a policy, with at least two Maryland insurers giving applicants until Dec. 31. Consumers in those states have until Jan. 15 to pay. Minnesota residents have until Dec. 31 to pick a plan and have coverage start the next day, exchange officials said Friday. They have until Jan. 10 to pay. Rhode Islanders also have until Dec. 31 to pick a plan and have coverage start the next day. But they have to pay their first premium by Jan. 6 and won't receive an ID card until they do. The change was made "to make sure more Rhode Islanders are able to have health care on January 1," said Dara Chadwick, spokeswoman for the Rhode Island exchange. "There's been a lot of confusion in the messaging." In Washington, residents who try to apply by Monday but run into problems have until Jan. 15 to pick and pay for a plan. Coverage will be retroactive to Jan. 1. Other states have extended the deadline to pay the premium. California is giving residents until Jan. 6, Vermont until Jan. 7 and Connecticut until Jan. 10. Regardless of where you live, you should call your insurer of choice to check its deadlines and, after you pay, check your enrollment status. For those who miss the deadline altogether, don't worry. You can still get coverage starting Feb. 1 if you pick a plan by January 15 and pay by the end of January. Open enrollment ends March 31. The uninsured must pick a plan by then to avoid a penalty. These procrastinators would see coverage start May 1.